The Province’s Minister of Innovation, Business & Rural Development has recently stated, “Tourism is one of Newfoundland and Labrador’s greatest economic drivers and over the past several years we have seen steady growth in the resident and non-resident market, leading to what has become a billion dollar industry.” While Witless Bay is well poised to capture a substantial share of this important industry, our Town is not currently capitalizing on it. 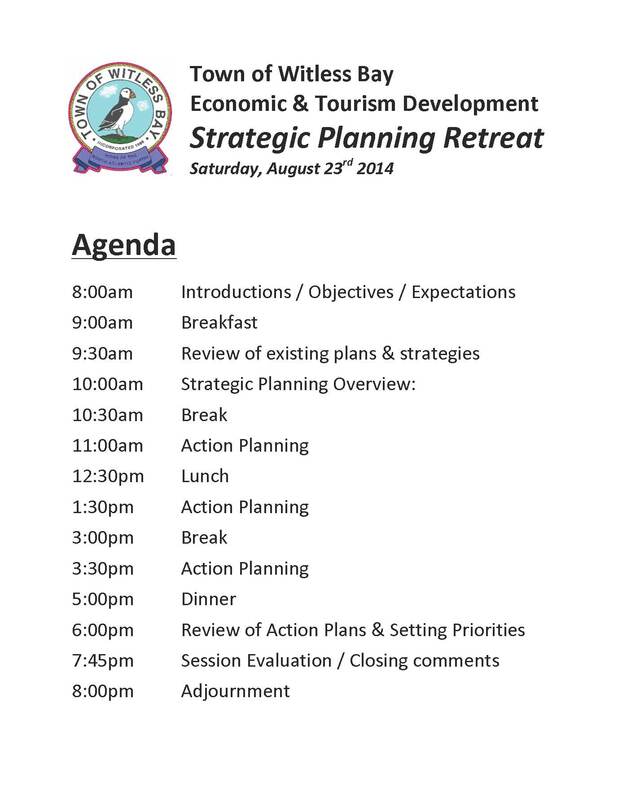 The Community Enhancement Committee is currently working on Witless Bay’s marketing & tourism strategy. It’s a great time for us to be doing this. The province has just announced its goal to double annual tourism revenues by 2020, and the 2014 provincial budget reflects this fact. The Town of Ferryland’s new Tourism Development Initiative, funded by a $223,354 grant from the Province, and Mistaken Point’s $640,000 bid for UNESCO status will boost the tourism industry of the entire Southern Shore. It’s important that Witless Bay position itself as a key stopping point on the Irish Loop. Once the necessary infrastructure is developed and the the right complement of businesses are established, Witless Bay will take its proper place as a fantastic destination in its own right. Approached properly, tourism can be a fantastic contributor to our Town. Tourism creates jobs locally, supports local producers, and promotes the viability of local businesses. Tourism fosters economic diversification, which can act as an insurance policy against hard times. Tourism can be a great source of community pride, and encourages the maintenance of cultural traditions and customs. The built environment benefits from tourism, since it encourages beautification projects and the preservation of heritage structures. A thriving tourism industry also has a significant impact on property values, which rise in line with a town’s reputation as an attractive setting. Finally, the infrastructure that is developed and improved to accommodate the industry (such as roads, parks, and other public spaces) benefits residents to a much larger extent than visitors. The first step in our marketing strategy is to refresh the Town’s “look.” The Community Enhancement Committee has identified the need for: A fresh logo, new Town signs, an official colour palette, and other elements making up a “brand” for the Town. The Town currently has an official crest, which will continue to be used in ceremonial functions and official documents. This crest will be preserved, and will simply be cleaned up and updated in a high quality format for future use. This new “look” will present Witless Bay as a friendly, colourful town, beautiful and rich in natural assets, offering year-round activities. Committee members felt that the Town’s colour palette should reflect the Town’s key symbol (the North Atlantic Puffin) and its surroundings (the Islands). Appropriate colours to choose from would then be: Orange, Yellow, Blue, Green, Brown, and Black (as an accent colour). The five colours selected will then be used in all promotional materials (including the Website, the Town’s logo, signs, Newsletters, etc.). 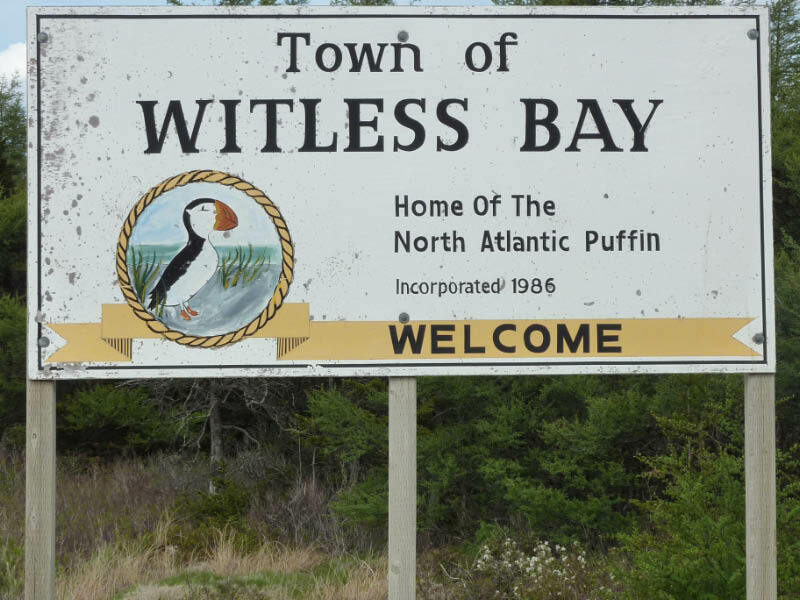 What differentiates Witless Bay from other places? The Witless Bay Ecological Reserve: Bird watching; Puffins; Petrels. 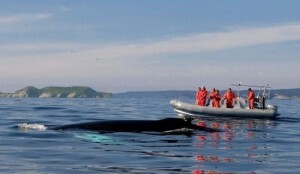 The sea: Main wharf & beach; Gallows Cove; Ragged Beach; Whales; Sea otters; Caplin; Breakers. The promontories: 12 O’ Clock Hill; The Tolt. Hiking & Walking: Paths throughout the community; The East Coast Trail. Fresh water: Dowes pond; Lower pond; Trout. Industry: The crab plant; The old meal plant; The hydro plant. Historical Landmarks: The Presentation Convent; Root cellars; The Celtic cross in the old cemetery; Irish roots; The Cup & Saucer. Symbols that should be emphasized in the Town’s marketing: The Witless Bay Ecological Reserve; the bird islands; the coastline, beaches, rocks, the sandy beach, the surf at the main beach; the outline of the community; the panoramic view of the community; the old graveyard(s); the Tolt. Witless Bay is the home of the largest colony of North Atlantic puffins in North America. 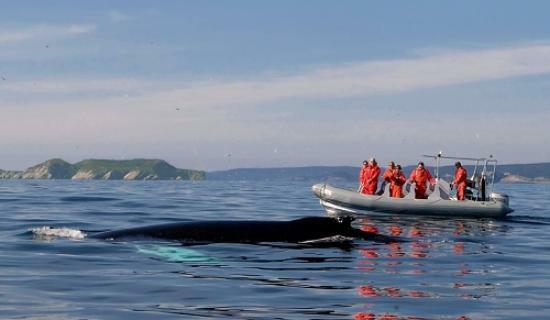 Witless Bay is also home to the Puffin Patrol – a very rare commodity! “Welcome to Witless Bay” (Should be more artistic; should promote Witless Bay as the centre of the Witless Bay Ecological Reserve). href=”http://sebastiendespres.ca/cec/marketing/main-signs” target=”_blank”>Click HERE for more details. Anti-Littering: New signs encouraging residents to avoid littering. The Town’s tourist chalet is currently very difficult to find for visitors, who often mistake it for being closed even once they arrive on site. The Community Enhancement Committee has made a number of suggestions to address this problem. The main suggestions entail moving the door to the front of the building and adding signage on HWY 10 pointing to it. Should this prove to be unsuccessful, moving the tourist chalet to another location may be advisable in the future. Committee members recommended that a flag pole be erected, since this makes a site more appealing and prominent. Bright colours and consistent signage are a must, as are friendly and knowledgeable staff members. In addition to summer grant programs for hiring students, volunteers should be recruited to help with the training, etc. Members of the Community Enhancement Committee have also suggested that the tourist chalet should do much more than simply hand out pamphlets; there should be samples of the work done by local artists, builders, and crafters on site, and these individuals’ work should be actively promoted. Another idea is for the worker at the tourist chalet to sell tickets for the boat tour operators on the Southern Shore (for a small service fee). The Department of Fisheries and Aquaculture’s “Coastal and Ocean Program,” which provides funding to projects which aim to increase the knowledge, best practices, and public awareness around local and regional coastal issues. The Department of Health and Community Services’s “Provincial Wellness Grants Program,” which aims to improve overall health and wellness by focusing on health promotion and by strengthening community action to address wellness priorities. Innovation, Business and Rural Development’s “Regional Development Fund,” which supports activities related to regional and sectoral development, diversification and innovation such as market development, building research and development capacity, advancing regional and sectoral infrastructure, and community, regional and sectoral capacity building. Municipal Affairs’ “Community Enhancement Employment Program,” which provides short-term employment (up to 420 hours) to assist projects that contribute to tourism development, economic development, community/municipal infrastructure, and community services. The Department of Tourism, Culture and Recreation’s “Capital Grant Program,” which assists in the repair and enhancement of existing recreation and sport infrastructure. The Department of Tourism, Culture & Recreation’s “Minor Project Capital Grant Program,” which provides assistance for minor capital costs associated with the rehabilitation of existing recreation facilities and equipment. 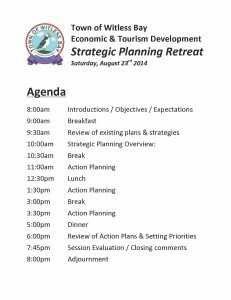 The Department of Tourism, Culture & Recreation’s “Cultural Economic Development Program – Heritage,” which is aimed at community heritage organizations (such as Witless Bay’s Heritage Committee) and aims to increase the sustainability of heritage groups by encouraging economic growth. Tourism, Culture & Recreation’s “Market Readiness Subsidy Program,” which assists operators in enhancing the quality of their tourism services, businesses, and products, and in the creation and delivery of memorable, value-added, high quality products and experiences that meet and exceed the expectations of visitors. Email me (sebastiend @ mun.ca) or send me a message via Facebook, and I’ll make sure they get discussed!